Since the turn of the century, consumers across the world are embracing a paradigm shift from owing things to owning experiences. The travel industry has gained quite some momentum, with life experiences becoming the latest social currency. While this change is deeply rooted in trends diffused by the affluent with enough disposable income, the proliferation of technology has no small part to play. 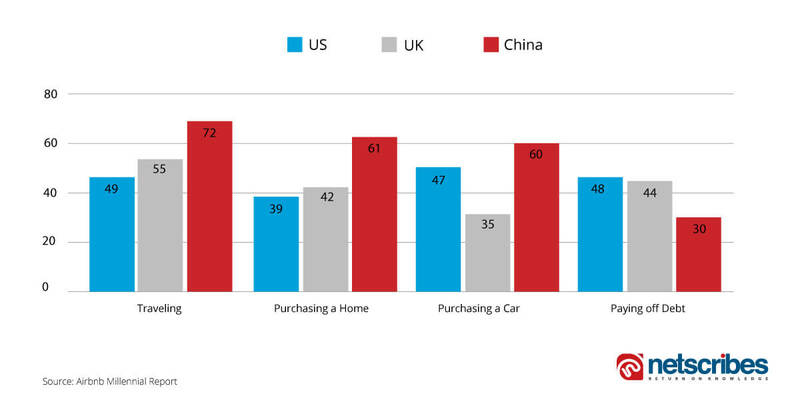 An Airbnb survey in the US, UK, and China, revealed that most millennials prioritized travel over purchasing a home, getting a car, or paying off debt. Millennials are currently the largest living generation in the U.S., making up one-third of the present working force. By 2020, they will account for close to 50% of all business travel spending worldwide. In order to satisfy the dynamic needs of these travelers of tomorrow, traditional travel companies need to adapt to new realities that may require them to compete and sometimes even collaborate with trend-setters in this realm. As the cost of living increases, this generation of 18-34-year-olds has a completely new outlook when it comes to ownership. They prefer sharing their assets for a few extra bucks. It is the openness to this mindset that has made renting platforms like Lyft, Uber, BlaBlaCar, Airbnb, and Couchsurfing flourish. In the thirst for new experiences, millennials often prefer going beyond traditional means of transport and accommodation. To capitalize on this trend, American Express Global Business Travel signed an agreement with Airbnb. This deal allows American Express Global Business Travel to integrate data from Airbnb bookings into its data environment to enable corporate reporting and traveler tracking that supports the duty of care responsibilities. 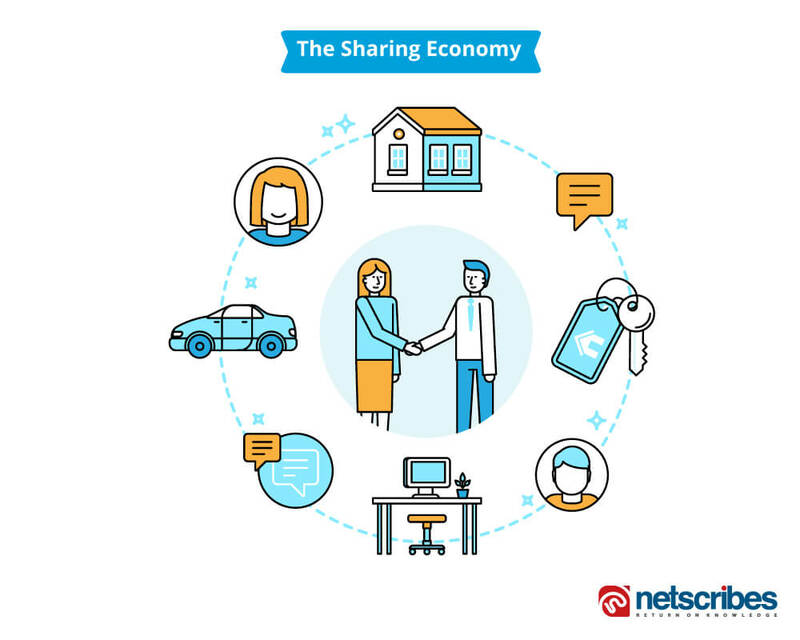 The onset of the gig economy has opened doors to a plethora of peer-to-peer experiences. Gone are the days of hiring a professional tour guide when your homestay host can double up as a great story-teller and an authentic local helping you explore the different shades of your travel destination. Value is one of the biggest drivers for millennials. Being connected round the clock, this cohort is known for spending a sizeable time reading reviews online, comparing packages, and planning itineraries. Having said that, they are more likely to base their decisions on a review from a friend or a complete stranger rather than a sponsored ad. This specific generation is always looking to steer clear from cookie-cutter travel experiences. So whether it’s a business or leisure trip, they are constantly looking beyond the boundaries of mundane routines; be it switching a restaurant meal for a truly local culinary experience or taking a different mode of commute than an Uber just to know the life of a commoner. Travel companies need to think outside the box as an increasing number of Generation X and Y travelers, as well as millennials, are deserting packaged tours and opting for tailored trips with itineraries that suit their varied inclinations and hobbies. A majority of such travelers, however, prefer having their destinations pre-screened for quality before they arrive to be sure they are getting their money’s worth. Boutique services like Quintess Beyond and the NextGreatPlace are known to offer just the kind of handpicked experiences and destinations after a thorough verification to ensure their customers have nothing short of a perfect time. When it comes to business travel choices, travel companies are offering millennials some flexibility within specific parameters, for e.g. pre-negotiating rates with various airlines and hotels. Many millennials are eager to optimize their time and make the most of their business trips. Being in a life stage with income constraints, they don’t mind pushing the envelope to convince their employers for a late night weekend flight back home. Termed as ‘Bleisure’, this blend of work and leisure travel is a hot trend, several organizations note to be an intensely fulfilling experience for their employees. In fact, Travel Weekly’s 2016 Consumer Trends report states that the percentage of leisure trips that have a business component soared to 17%, up from 11% in 2012 and 14% in 2015. As long as employers and employees can clearly articulate from a policy and insurance point of view where their respective responsibilities lie, this trend can be seen as very positive overall. A few employees at senior positions are already living this reality only at a more sophisticated level. According to a report by Amadeus, luxury outbound trips are expected to increase in Europe with a CAGR of 5.8% during 2011–2025, while that of Asia Pacific is to increase 6.3%. The number of luxury trips from Brazil, Russia, India, and China (BRIC) is also expected to increase. Agencies in the travel industry that are swift enough to design packages and make recommendations to leverage this lifestyle can make incremental profits. Hoping to leverage these emerging needs and potential industry disruptions, online travel players are adopting new business models based to remain competitive. 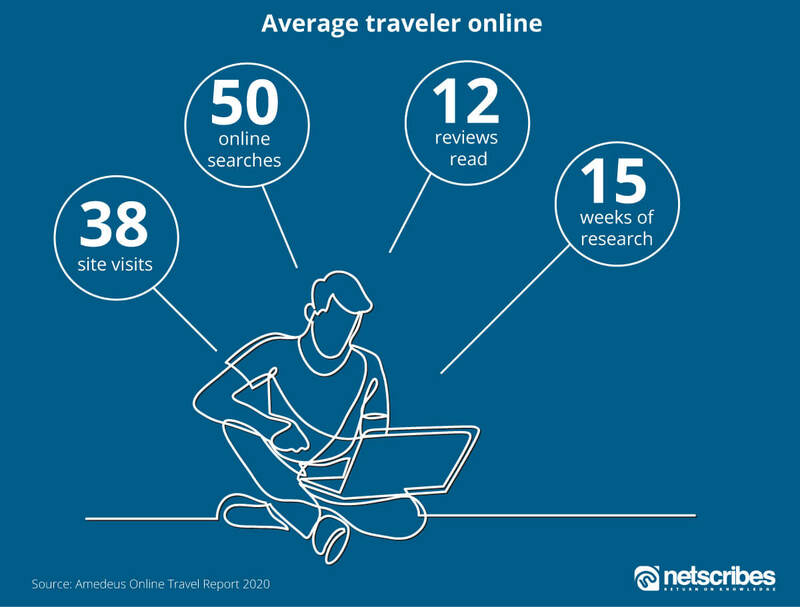 According to Netscribes Research approximately 57% travelers believe that online channels give them better deals and find it more convenient to book onlineVying for maximum market share, Online Travel Agents (OTAs) and metasearch companies who previously worked to serve the same set of customers are now converging to give rise to Online Travel Retailers. 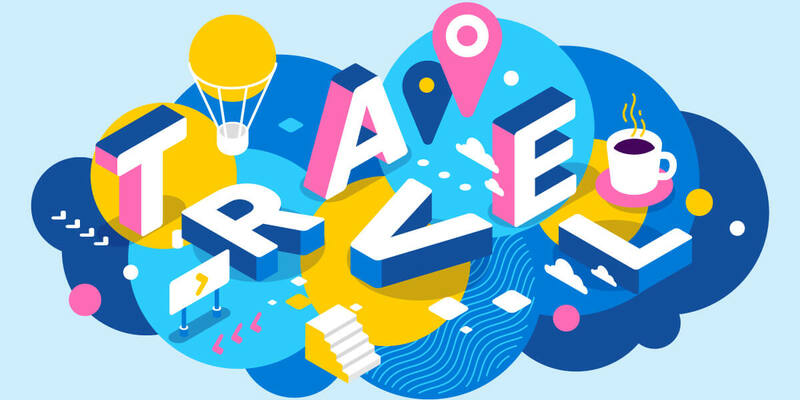 Renowned OTA Expedia acquired Trivago, Travelocity North America, and Orbitz Worldwide in order to emerge as one of the first OTRs. A spectrum of such OTRs are now expanding their advertising base by purchasing their own marketing channels, exploring Search Engine Marketing (SEM), and working on traffic monetization – all this to gain a unique position in the customer’s minds and thereby attract loyalty. In a world driven by e-commerce, the potential of a travel marketplace is not unrealistic. Travel industry players are already building their own versions of marketplace platforms for OTAs, airlines, hotels, and other travel-related companies. CTrip plans to create flagship stores, while Alibaba created an e-commerce travel platform in 2014. This format is set to tweak transaction patterns, as the marketplace owner would have exclusive control over every customer profile, impacting the seller’s current business models. Nonetheless, other innovations in payment options via WeChat and voice-assisted bookings via the likes of Amazon Echo will prove as an alternate transaction medium in the near future. Millennials who have travel apps on their smartphones account for a good 75% than their non-millennial counterparts who stand at 47%. It is no wonder why, Cleartrip reported that 53% of its traffic comes from mobile, and 70% of its customers are using mobile phones as their only channel for transactions. Mobile travel bookings in Europe too, are growing exponentially. With micro-moments driving travelers to search, upload photos, chat and carry out other travel-related transactions through their phones, travel agencies should be conscious about ensuring a mobile-first design and also plugging innovative mobile strategies to stay connected during the journey, cross-sell and work on post-travel engagement initiatives to impress their patrons. In an ever-changing business landscape, travel providers must stay ready for any opportunity that allows them to inspire a difference that is truly niche and relevant for evolving consumers. Netscribes helps companies in the travel industry to identify and capitalize on such opportunities by providing information and analysis of the current and forecasted market trends, technology changes, competitive scenario, and more. If you’re looking to inform business decisions through comprehensive market and competitive intelligence, get in touch with us at [email protected].